This sounds so ridiculously awesome that I just have to do it. 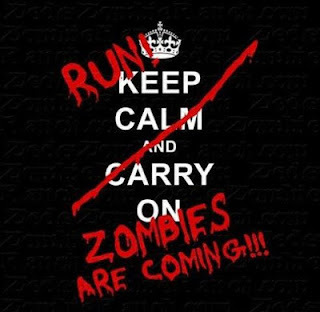 The Zombie Survivor run is coming to Calgary on July 20th. It's a 5k with obstacles and you can either be a runner or a zombie. Check them out here, registration opens on March 15th. Can you imagine the sheer chaos of running, climbing over stuff, plunging through water (blood?) pits while being chased by the undead? Oh hell yes.